Don't suffer through a tough work day with a pair of men's work boots that aren't made to specifically fit your feet. Instead, show them up by wearing these Timberland PRO Women's TiTAN 72399 Black Alloy Toe Boots. At the end of the shift, those boys will be crying ... (see full details) (see specifications) #TMBTB072399001. Don't suffer through a tough work day with a pair of men's work boots that aren't made to specifically fit your feet. Instead, show them up by wearing these Timberland PRO Women's TiTAN 72399 Black Alloy Toe Boots. At the end of the shift, those boys will be crying about sore feet while you're walking on Cloud 9. These slip-resistant boots are constructed with an antimicrobial polyurethane footbed, which means you'll have great lightweight cushioning for your feet that will also kill bacteria and eliminate odors. The mesh lining also features antimicrobial treatment to provide extra odor control. Not that your feet will be sweating though, because the Outlast Adaptive Comfort footbed regulates the heat inside of your shoes based on your body's needs. These TiTAN safety toe boots are part of Timberland's PowerFit Comfort System, which means that while your feet are being cushioned by the polyurethane midsoles with a high-rebound heel insert, they are also being supported and stabilized by the lightweight nylon diffusion shank. 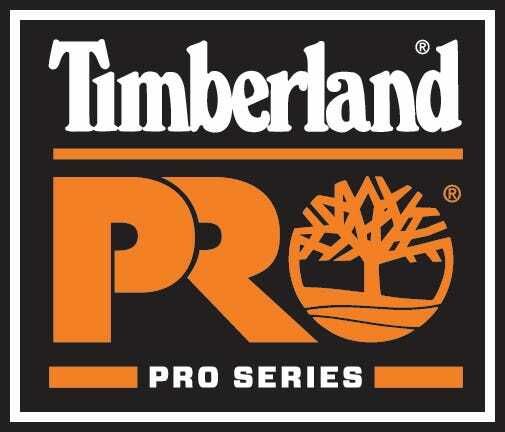 They are also part of Timberland PRO's 30-Day Comfort Guarantee. This guarantee states that if these women's boots aren't as comfortable as the brand you're currently wearing, return them with the receipt within 30-days for a refund of the purchase price. These black boots are not only comfortable, they also provide excellent protection against dangers in the workplace. They are ASTM certified to protect you from electrical hazards. The Timberland PRO rubber outsoles are slip-, oil-, and abrasion-resistant. The alloy safety toe complies with ASTM standards without giving you the extra weight of a steel toe, because nobody wants to put on an extra 10 pounds just by putting on a pair of work boots. Spend one work day in a pair of Timberland PRO TiTAN 72399 Black Alloy Toe Women's Boots and you'll give your old work shoes the boot. I work at a cargo facility for an airline. This is my third pair. I only wear them in cold weather (7 months a yr) and replace them about every 2 years. They are wonderful. You hit the ground running with them. No breaking in period, no blisters, or squished toes. I buy them a 1/2 size larger, a fact I keep on forgetting but Workingpersons.com is very good with their return policy. They are lightweight, waterproof and keep your toes nice and warm. Love love love my Timberlands!!!! PS For the other 5 months of the year, I have the Timberland Mudsills which to my disappointment are discontinued. Timberland please bring them back. My feet are very wide and I've always had a difficult time finding boots that fit properly, until I found these. They are one of the few that are actually made wide enough for me. In the past I've had to wear mens boots in order to get the width. I'll be buying more than one pair of these for sure. Oh and they are comfortable right out of the box. No break in. Huge plus! Thank u workingperson dot com! I've been in this buisness a long time. Always had to special order any boots that fit. These are a dream i've never been able were boots that you didn't BREAK IN. They are a dream come true. And i'm ordering a second pair "just because" I'm positive i will not get the fit for the price ever again. Thank you working persons store...,. I work security on the North Slope in Alaska's oil fields. These boots didn't need "breaking in" and are super comfortable. They work well in all kinds of weather and temperatures. Love 'em. I am ordering my second pair of these boots. I am in the Navy and on non-skid and wet, steel decks all day. These meet all the military requirements, are extremely durable and much lighter than the men's boots. They also are oil-resistant and electrically safe. My old boots are now going to be my motorcycle boots. Timberland PRO Boots: Women's TiTAN 72399 Alloy Toe Work Boots is being added to your cart.